The Grant Writing Certificate program teaches you how to write compelling proposals that secure funding and generate ongoing support for your organization. Whether you’re looking to start a new career in grant writing or further your existing career, this course will teach you transferable skills that will benefit you for years to come. For many non-profit organizations and businesses, grant writing is a critical “lifeline” for their funding. Consider writing a grant to help get the funding needed to operate your business, programs or projects. Although proposal writing is essential to the fundraising process, it can be intimidating. This program teaches you how to follow a step-by-step writing process that reduces anxiety and gives you the confidence and know-how to develop a successful grant proposal. No matter if you are tasked with writing foundation, federal, research or other grants, you’ll learn systematic strategies for improving your ability to write compelling and exciting proposals that will generate support for your organization. You’ll also learn how to create a comprehensive and competitive proposal package for institutional grant makers, plus much more. Anyone with little or no grant writing experience. Experienced and professional grant writers looking to enhance their skills. Anyone looking to start a new career or further their existing grant writing career. 4 days; 9:00 a.m. - 4:00 p.m.
Students will be awarded a Certificate of Program Completion for 2.4 Continuing Education Units (CEUs) upon completion of 24 hours of course work. 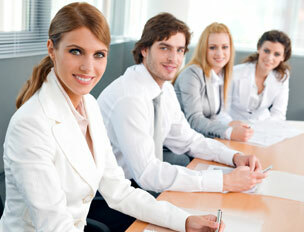 Timely and successful completion of written and oral assignments is required. To receive your Certificate of Completion, your attendance is also required for all four sessions. Dr. Rice is a Certified Grant Writer® and a member of the American Grant Writers Association (AGWA). In addition to working as a Certified Grant Writer® Consultant at Grant Writers Quill LLC, she serves as a consultant for various nonprofit organizations as well. She is also embarking on her 17th year as a special education teacher in Georgia. Dr. Rice earned a Bachelor of Science in Business Management from Anderson University, a Master’s degree in Human Resource Development from Clemson University, an Education Specialist degree in Curriculum and Instruction from Piedmont College, and a Doctorate of Education degree from Walden University. She considers herself a lifelong learner and enjoys working as a grant writer to support outstanding causes.